In his address to the nation on January 8th, President Trump made a case for his border wall that appealed to left values, saying that unauthorized immigration “strains public resources and drives down jobs and wages,” and that “among those hardest hit are African Americans and Hispanic Americans.” The implication of the line is clear: How could the administration be “racist” when its policies are meant to protect socio-economically marginalized minorities? Conservative pundits, and the many Americans who already support the administration’s efforts to curtail immigration, may embrace this new line of argument. Some who identify as part of the political left may even be tempted by it, seeing immigration as undermining native workers’ bargaining power. But this talking point has to be rejected by those who want a dignified, fulfilling life for all. Invoking the well-being of native workers as an argument against immigration is nothing new. History offers ample examples of elites repeatedly exploiting the supposed conflict between marginalized workers and immigrants. We can see it in the way the early 20th-century movement to establish laws guaranteeing a federal minimum wage and an eight-hour workday was coopted. As a result of raw appeals to nativism, the country not only halted immigration from southern Europe and Asia, but also postponed the implementation of much sought-after labor rights until The Great Depression. Today, the Trump administration depicts defenseless migrants fleeing violence in Central America as criminals, and intensifies racially-charged rhetoric to blame “the other” for the economic hardships facing the public in general and marginalized communities in particular. Left unchallenged, these prejudices will distract people from the true causes of their devastated wealth and health. It’s worth looking back into this country’s labor history to see how xenophobia has harmed workers’ movements, so that the same mistake isn’t made again. In the early 20th century, extreme exploitation and repression were causing working people to rally under a unified banner. Despite overtaking Great Britain as the world’s largest economy by 1870, life remained precarious for the common worker in the (re-)United States. Wealth inequality was growing and political power was concentrated in the hands of a few. In an effort to grow their political voice, laborers in northern industrial cities formed unions. Their aims were simple: establish collective bargaining and secure basic rights, particularly an eight-hour work day. With limited legal recourse, these demands were most prominently petitioned through strikes, which peaked in 1890 with 1200 work stoppage actions. Oligarchs responded violently to these pleas for economic justice, employing both private security forces and federal troops. In 1877, the Pennsylvania state militia opened fire on railroad workers protesting layoffs and wage cuts, killing 20 including three children. The U.S. Army joined the militia a few days later to reopen railroad operations. In 1892, fighting between strikers at Andrew Carnegie’s steel plant and private security left nine workers and seven guards dead. Again, state troopers were deployed to break the strike and force workers to accept reduced pay, a 12-hour work day, and a seven-day work week. During the 1894 strike at the Pullman Palace Car Company, 13 demonstrators were killed as soldiers and marshals forcibly ended protests against wage cuts. The urban workmen are denied the right to organize for self-protection, imported pauperized labor beats down their wages, a hireling standing army, unrecognized by our laws, is established to shoot them down, and they are rapidly degenerating into European conditions. The fruits of the toil of millions are boldly stolen to build up colossal fortunes for a few, unprecedented in the history of mankind. Amid all this anger, however, activists did not focus on bringing the “imported pauperized labor”—a reference to non-white arrivees from Southern Europe, Asia, or the American South—into the fold of the broader movement. Instead, native-born white workers during this period displayed open hostility towards immigrants and condoned the persecution of black workers by a racialized justice system. This was not only cruel, but also shortsighted. Once the labor movement subscribed to the idea that some in their ranks were more deserving of fair treatment than others, it provided the state with the legitimacy to discriminate against workers and preserve the unjust system. The popular outrage did come close to overturning the status quo with William Jennings Bryan’s candidacy in the 1896 presidential election. But he fell short of building a coalition large enough to defeat the oligarchy, in part because he explicitly campaigned on a platform that prioritized the rights of white rural workers over others. Bryan’s bias was most evident in his obsessive focus on bimetallism. His followers believed that the introduction of silver as legal tender would increase the supply of money, thereby raising the price of goods and easing the repayment of debt. While this appealed to perennially indebted farmers in the American West who wanted to see higher prices for their harvests, it did not address the broader concerns of factory workers. Bryan’s parochialism actually ran even deeper—his idealization of the rural homestead disappeared when it came to addressing the injustices facing black sharecroppers in the South. Following the premature end of Reconstruction in 1877, de facto slavery was being reasserted. Debt peonage, terrorism, and the convict-lease system, which made it lucrative for state governments to arrest black workers and “lease” them to private businesses, were resulting in a staggering loss of life. After Alabama introduced its convict lease system in 1875, 45 percent of the state’s predominantly black detainees in the program died in its fourth year. In turn, convict labor was used by Southern railroad and mining companies to break strikes and discourage free laborers from engaging in collective bargaining. Despite the clear harm that institutionalized racism imposed on workers of all races, Bryan—the supposed champion of the people—shied away from criticizing the oppression of black communities, failing to do even the bare minimum of publicly condemning the Ku Klux Klan. He was more committed to securing white voters in the South who had supported slavery under the antebellum Democratic Party platform. While not extraordinary for his time period, the omission of black workers in Bryan’s campaign for “rule by the people” disqualified him not only from being a flagbearer for meaningful change, but also from being effective. By refusing to defend a broader cross-section of workers, Bryan paved the path to his own defeat. Myopia was not unique to Bryan. 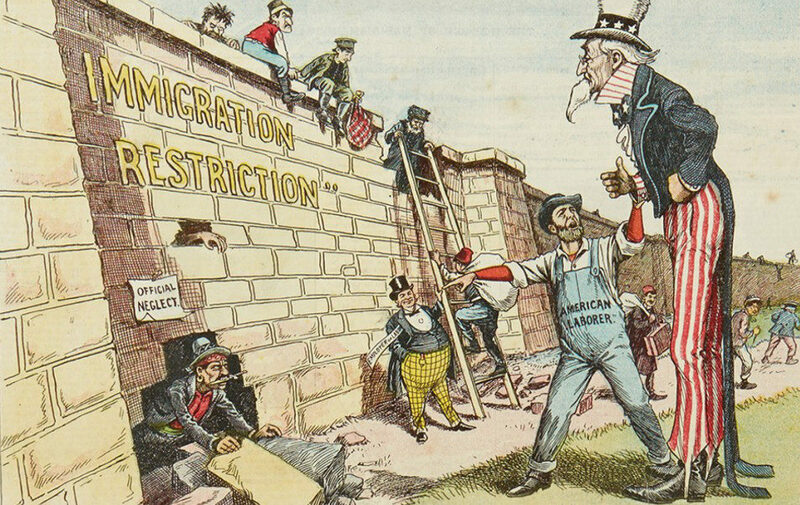 Following the 1896 election, the labor movement diverted many of its limited resources toward lobbying for stricter immigration laws. 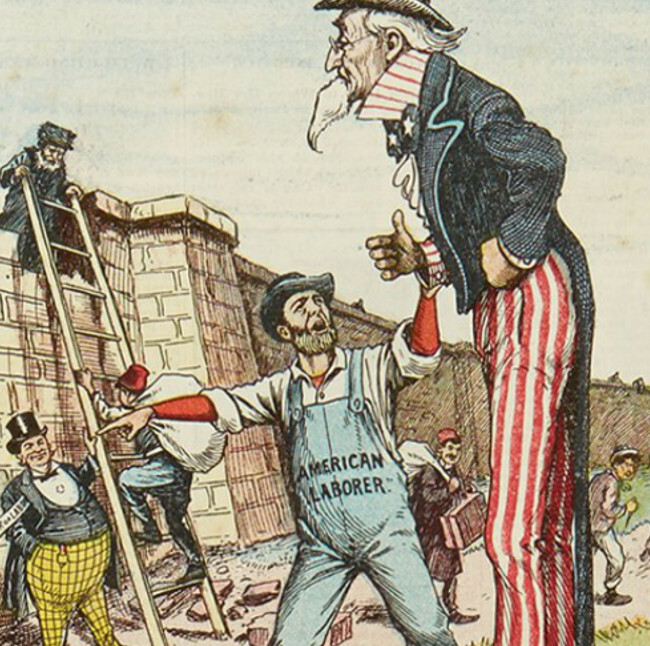 Advancing the argument that foreign-born workers were undercutting the wages of their native-born peers, unions had long been scapegoating Chinese immigrants before successfully lobbying for the Chinese Exclusion Act. This was the first law in the history of the United States that specifically barred a specific nationality from entering the country. 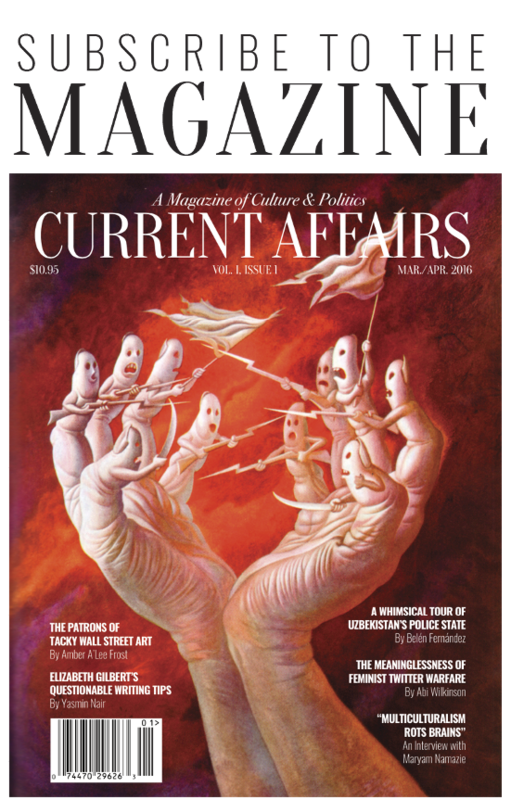 Recognizing that immigration had become a hot-button issue among workers, oligarchs and their allies in government also began actively subverting demands for better conditions by redirecting the people’s attention to stricter border control. Notably, President McKinley appointed Terence Powderly, the former head of the labor organization Knights of Labor, to manage the Bureau of Immigration. Despite once leading an inclusive organization that counted female, black, and immigrant workers among its members, Powderly assiduously pursued the enforcement of the Chinese Exclusion Act and played a pivotal role in its extension. If the colored man continues to lend himself to the work of tearing down what the white man has built up, a race hatred worse than any ever known before will result. Caucasian civilization will serve notice that its uplifting process is not to be interfered with in any such way. This statement showed no regard for the fact that many members of the Chicago Teamsters were black. Comparable prejudices were on display during the strike against the Pullman Company in 1894 when white railroaders rebuffed American Railway Union President Eugene Debs’ proposal to expand the organization’s membership to their black peers. For many white members of the labor movement, black workers coming to Northern cities were just the same as Chinese immigrants: people less deserving of opportunity and a threat to their wages. This outlook, that access to opportunity should be exclusively harnessed by white workers, did the work of the robber barons for them. By supporting tougher immigration quotas and remaining quiet on the entrenchment of Jim Crow laws in the South, union leaders exhausted resources that should have gone to advocating for fairer compensation and surrendered the chance to grow their ranks. Powderly and Gompers’ efforts culminated in the passage of the Reed-Johnson Act in 1924, completely closing immigration from Asia and placing quotas on arrivees from Europe with the specific intention of limiting the entry of “non-white” southern Europeans. This represented a rejection of the demographic realities of America. Of the 76 million Americans in 1900, 1/3 of the population were either foreign born or children of foreign-born parents. The impact of immigration was more pronounced in urban centers like New York, Chicago, Boston, and Detroit where first-generation Americans and their children represented 70 percent of the population. But the consequences of the restriction went further than the nativists had anticipated. The upsurge in the number of productive workers and the corresponding increase in consumer demand in the period following the Civil War, combined with technological innovation, had propelled the emergence of the United States as a global economic superpower. Conversely, the sudden reversal in the flow of immigration following the 1924 Act appears to have, at least partly, contributed to kicking off the Great Depression in 1929. Today, the struggle to ensure everyone’s ability to pursue a healthy and fulfilling life remains incomplete. Workers’ rights did begin to be codified during the depths of the economic catastrophe in the 1930s. Most notably, the 1938 Fair Labor Standards Act finally secured both an eight-hour work day and a statutory nationwide minimum wage. But 80 years on, the federal minimum wage remains below where it had been in the 1950s when accounting for inflation. In 2014, the minimum wage was insufficient to support a household of one adult and one child. As a result, over 40 percent of American households don’t earn enough money to cover basic needs, such as housing, healthcare, childcare, and transportation. In response to growing public demands for economic justice, oligarchs are already on the move, looking to weaken the popular movement by employing the tried-and-true method of appealing to people’s tribal affiliations. This was evident when Donald Trump castigated immigrants as criminals during the 2016 election. Now, the administration is doubling down on efforts to divide and distract people, just as the robber barons had done in the last century. Building on his presidential address, President Trump may continue to advance the argument that immigrants are the source of black poverty. Some academic studies have already pointed to a correlation between rising unemployment among black men and increased immigration following the 1965 Hart-Celler Act, which abolished restrictions that were enacted under the 1924 Reed-Johnson Act. After a wave of raids by federal immigration agents on Labor Day weekend, a local chicken-processing company called Crider Inc. lost 75 percent of its mostly Hispanic 900-member workforce. The crackdown threatened to cripple the economic anchor of this fading rural town. But for local African-Americans, the dramatic appearance of federal agents presented an unexpected opportunity. Crider suddenly raised pay at the plant. An advertisement in the weekly ForestBlade newspaper blared “Increased Wages” at Crider, starting at USD 7 to 9 an hour—more than a dollar above what the company had paid many immigrant workers. Economists are also unsure about the exact effects of immigration on the wages of workers with less than a high school degree, with research finding anywhere between a marginal benefit to major detriment. However, even here, a more critical examination of the data should cause us to reject the scapegoating of immigrants. Foremost, it does not address why such a sharp disparity in the employment rate between predominantly-white and predominantly-black communities exists in the first place. We do know that black communities are disproportionately underserved by the public education system, making them more vulnerable to low-wage competition in the labor market. Moreover, the economic devastation in black communities cannot be discussed in isolation from the fact that incarceration of black men between the ages of 30 and 34 stood at 13 percent (compared to 2 percent of their white peers) in 1989 and increased by 50 percent over the course of the 1990s. Unfortunately, not all prejudices exploited by the administration will be explicitly stated or tweeted. For example, surveys conclude that white respondents who believe that the black community receives a greater share of government assistance are less likely to support programs like SNAP. 59 percent of Americans believe that a majority of “welfare” recipients are black, or that the rate is about the same between black and white people. In fact, 40.2 percent of the 47 million SNAP recipients in 2013 were white while 25.7 percent were black. “Zero-sum” logic, of both the racist and xenophobic kind, sees every crumb given to one group as being taken from another, instead of targeting the concentration of wealth in the hands of capitalists. Casting any marginalized group as the source of the problems facing the country distracts people from having meaningful conversations about how unjust policies contribute to the precariousness of their well-being. If the United States is to truly step forward as the land of the free, and not merely the domain of the already-privileged, then it is incumbent on us to defend the rights of all members of the society—particularly in conversations with family, colleagues, and friends. In these discussions, failures of the labor movement during the Gilded Age can help underscore how tribalist impulses ultimately harm everyone. Migrant families, plain and simple, are just like ours. I know who is really hurting my community, and it certainly isn’t desperate families and toddlers in cages… The policy of family detention and separation, and incarcerating families together doesn’t solve any part the crisis we are facing in Haywood County… Detaining families is not going to bring back jobs, or give us the healthcare we need. I’m a seventh generation resident of Haywood County, North Carolina, and I still live right where I grew up. But my own ancestors were migrants to the mountains all the same. I see myself in these families. I see myself in their humanity. It is time that we all see ourselves in one another.